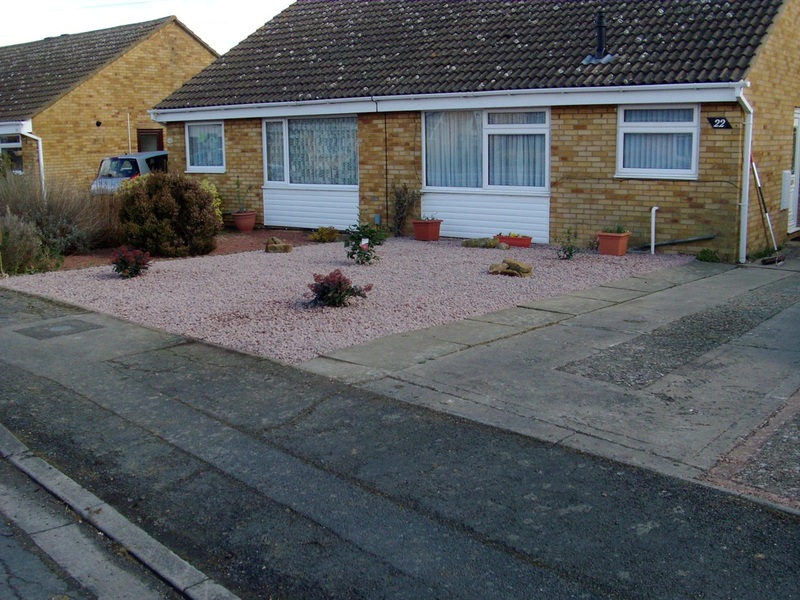 This garden needed to be completely cleared of all the overgrown plants, shrubs and bushes. The grass and borders also needed to be removed. Once this was done we were able to set about levelling the ground and laying a good quality weed suppressant, before the delivery of the gravel. The gravel was then laid evenly to the required depth. a nice looking low maintenance garden. This was exactly what our clients had wanted and they were very pleased with the result. We received a really nice email from them, feedback is always welcome, which with their permission, we have published on our testimonial page, (every one likes a pat on the back). This project took two people two days to complete.